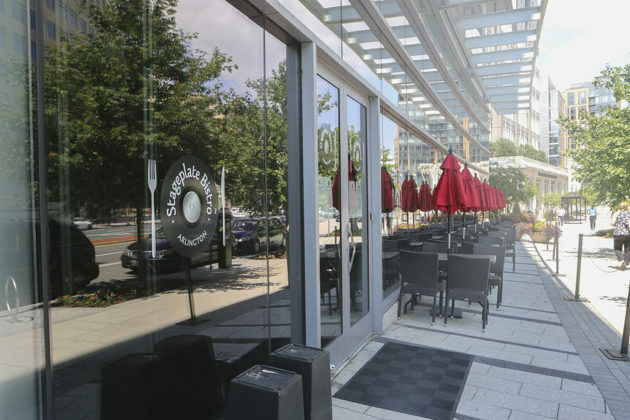 Stageplate Bistro (900 N. Glebe Road) will be closed for the next few weeks, but has plans for a “grand reopening” Saturday, September 1. “After almost a year of passionately pursuing our dream, we are taking a breath,” a posting to the door reads, in part. 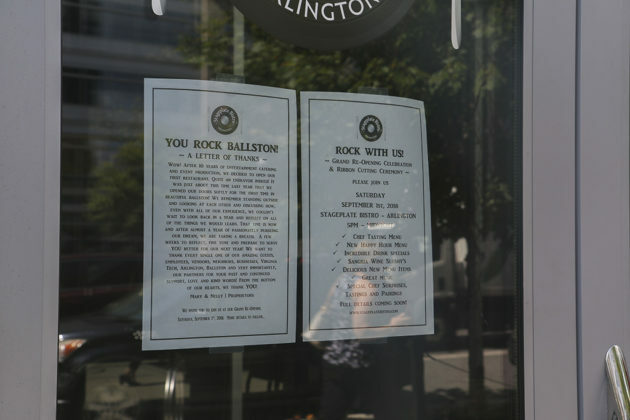 The notice is signed by proprietors Mary Marchetti and Nelly Gonzalez, the married duo who serve as the restaurant’s general manager and executive chef, respectively. That “breath” means instead of pulling 100-hour-plus work weeks, Marchetti and Gonzalez will work from 9 a.m-5 p.m. on some updates, Marchetti said. That will include training, shaping their social media presence and updating the restaurant’s website. 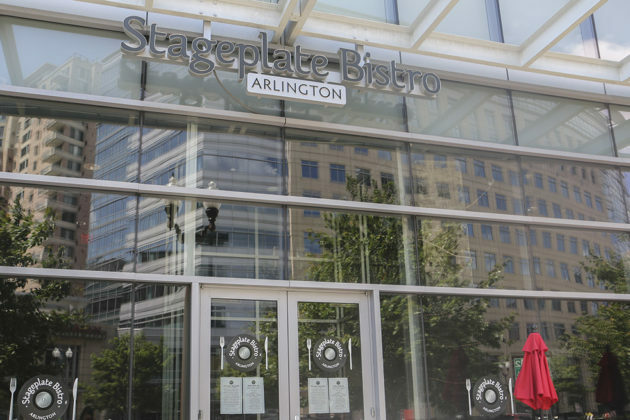 Stageplate Bistro held its grand opening in October after a soft opening last August. Their menu primarily features American cuisine. Final details about the re-opening will be available on Stageplate Bistro’s website. “We’re going to finally get everybody together on [Sept. 1] and get our big scissors out and cut our ribbon,” Marchetti said.